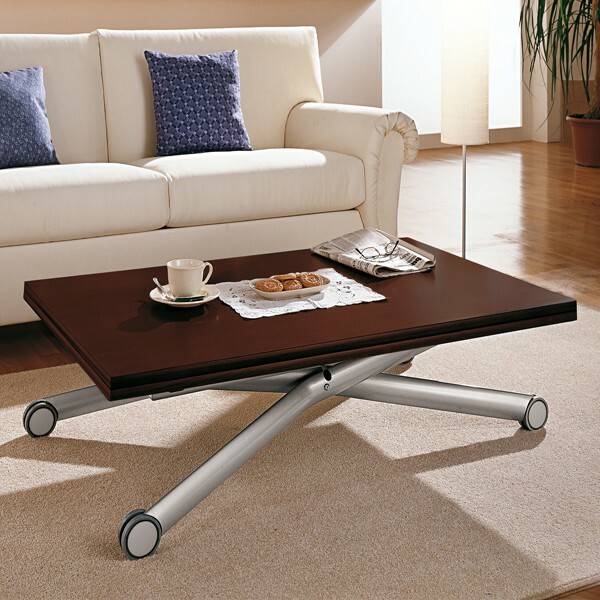 A clever space-saving table that can be used both as a coffee table and a dining table. The coffee table top doubles in size when folded out and rotated. A gas lift system hidden within the frame allows it to be raised to any desired height up to full dining table height. 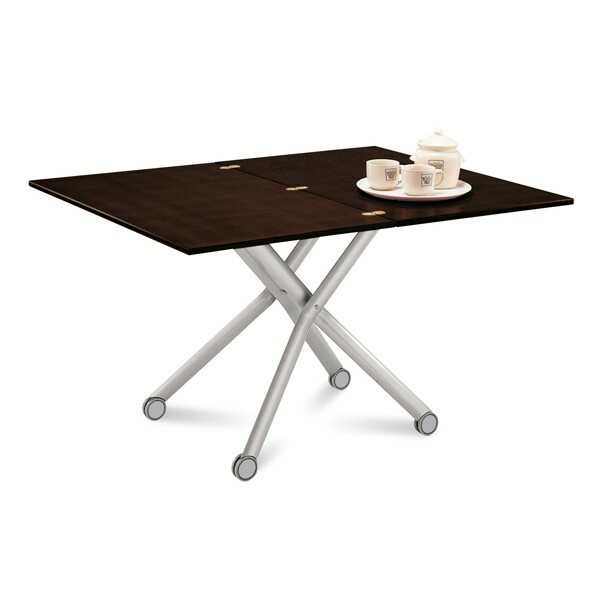 Ash melamine top in wenge with a matt satin steel frame. A similar version with glass top is also available, see related products below.